Casey was born and raised in Yellowknife. He holds a Multimedia Production Diploma from Lethbridge College as well as a Bachelor of Fine Arts Degree from Thompson River University in Kamloops, where he was also involved in a four-year work-study program for the Faculty of Fine Arts. Here in Yellowknife, Casey has worked for the GNWT Arts and Fine Crafts as a Coordinator and Research Assistant as well as working as Communication Coordinator for the GNWT Health and Social Services. 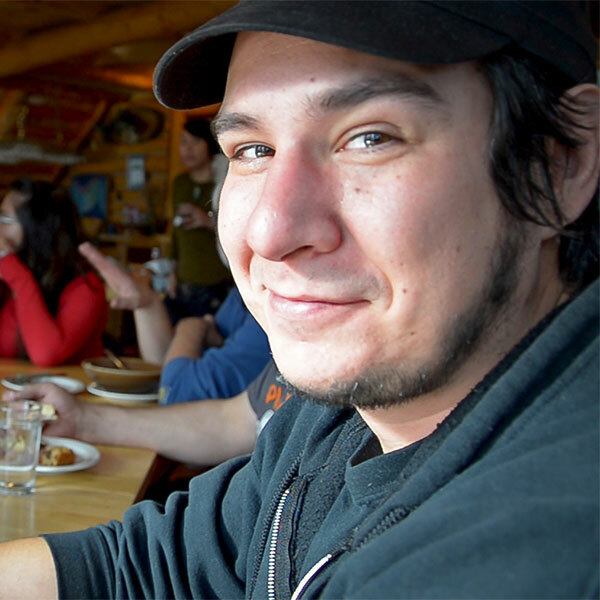 Casey is on the Board and is head of fundraising for the Yellowknife Artist Run Community Centre and does contract work with Western Arctic Moving Pictures. Hearing numerous wolves howling after killing the moose we were hunting for. Feeding goldfish to my turtles. Playing and recording music, working on art projects and organizing shows.